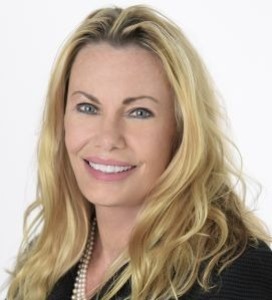 With more than 30 years of real estate experience, Vicki Driscoll represents buyers and sellers throughout the Westside of Los Angeles, including Pacific Palisades, Brentwood, Bel Air, Santa Monica, Westwood, Venice, Marina del Rey, Beverly Hills and Cheviot Hills. She is a longtime area resident and her clients benefit from her professional and personal knowledge of the Westside market and its many neighborhoods, lifestyles and pocket communities. Vicki has received many company awards and honors due to her superior client service and amazing record of results. Her dedication and tireless effort, combined with her expertise have earned her a tremendous amount of repeat and referral business. Additionally, Vicki's relationship with the relocation department at UCLA, based on her service focus and hands-on approach has enabled her to successfully represent many of their clients, including prominent politicians, authors, and other public figures. Vicki is detail oriented, highly accessible and consistently exceeds client expectations -- from the inception of her working relationship, through escrow and beyond. "My skills and experience, paired with the exceptional marketing, technology, and service capabilities of Compass, make a powerful combination for any buyer or seller," she says.